We are pleased to announce that Brooklyn Kayak Guides has been folded into The Kayak Foundation, a 501(c)3 not-for-profit dedicated to introducing a broader public to the enjoyment of paddling and learning about our marine environment. We’ve always had a public mission, and this change highlights our commitment to education, safety, and youth kayaking. We’ve been fortunate in attracting an incredible group of professional instructors to our organization – one of the deepest pools of highly certified ACA Level 2, 3 and 4 teachers in all of the Northeastern United States. We thank them for joining us as we double down on sharing the joy! Explore the exciting New York waterfront by kayak or stand-up paddleboard. Our home base in beautiful Brooklyn Bridge Park provides a fun environment to explore kayaking and standup paddleboarding within New York Harbor. We offer kayak and SUP trips, individual and small group classes, and paddling sessions within our protected embayments. Family reunions, company outings, and birthday parties are all better on the water! Whether beginner or expert, we’ll help you find the kayak or standup paddleboard adventure that’s right for you. We provide equipment, top notch instructors and the information you need to have a great time. We work with The Brooklyn Bridge Park Boathouse and other East River and Hudson River based organizations to expand paddling opportunities and promote safety and environmentally sound public policies to sustain kayaking and human-powered boating in New York harbor. 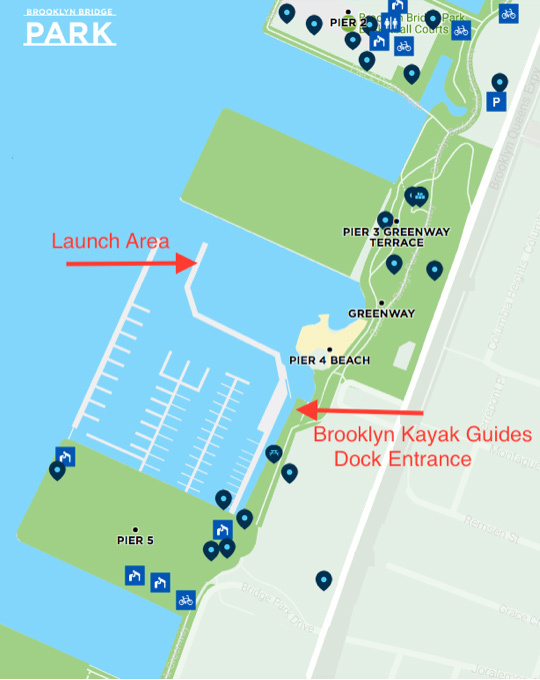 The Kayak Foundation is now located on the dock at Brooklyn Bridge Park’s One15 Brooklyn Marina. The main entrance is the gangway between Piers 3 & 5 on the north corner of the Picnic Peninsula. general information, please contact us at: info@kayakfoundation.com. head to our Trips page. head to our Classes and Programs page. Subscribe to our email newsletter for useful tips and interesting resources. Join Kayak Foundation on Facebook!